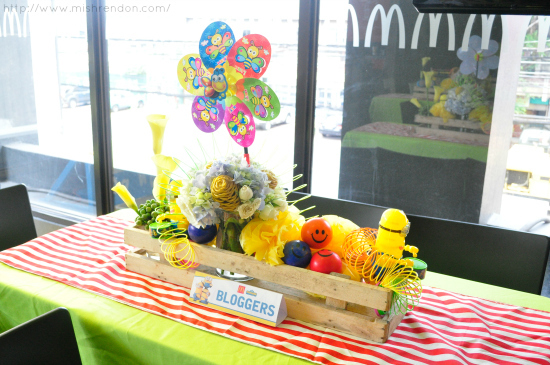 LBD & ONESIES - A Lifestyle Blog: #MinionsatMcDo: Celebrate Minions Banana Festival at McDonald's! 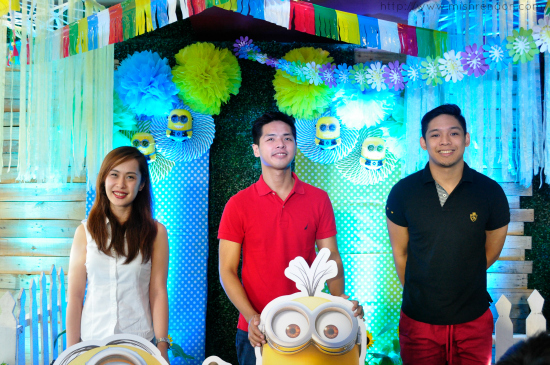 #MinionsatMcDo: Celebrate Minions Banana Festival at McDonald's! 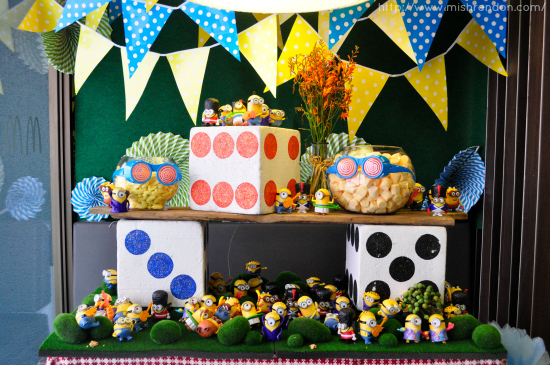 Are you ready to go bananas over the latest Minions craze? I sure am! Kevin, Stuart, and Bob, stars of the Minions Movie, are definitely back and they have taken over McDonald's. A full Minions experience is yours at McDo's Minions Banana Festival - an awesome treat that kids and even adults will absolutely enjoy. 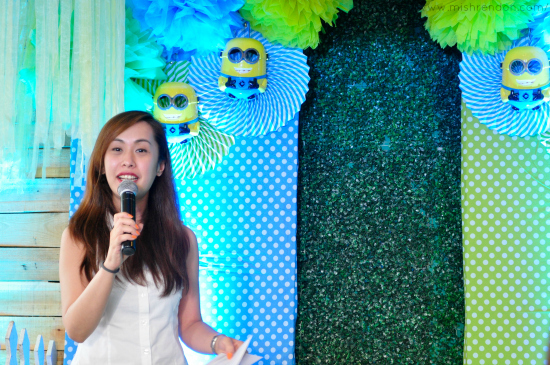 During the McDonald's Minions Family Day held last Saturday at McDonald's West Avenue branch, me and other fellow mommy bloggers were the first to know what's in store for everyone during the Minions Banana Festival. We were also treated to our McDo favorites (mine's Chicken McDo!!!) 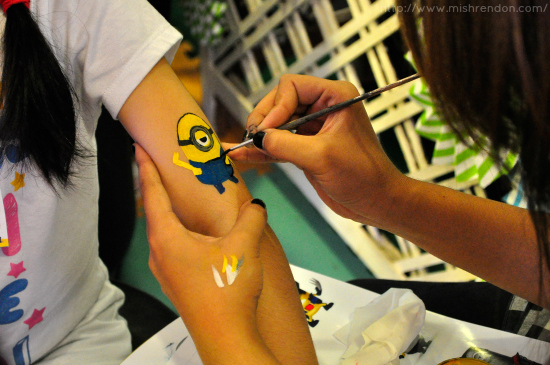 while having fun with various Minions games and face painting and enjoying a complete family bonding experience. 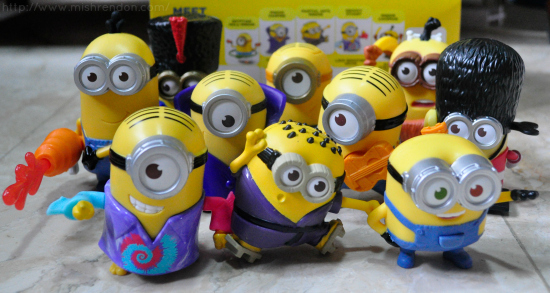 To begin with, McDo came up with new Minions Happy Meal toys. 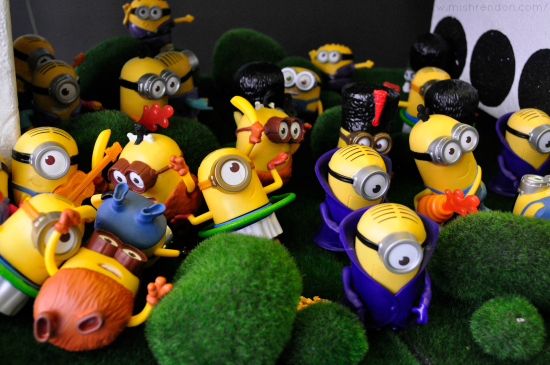 I don't think any Minions invasion could be complete without the Minions Happy Meal toys! 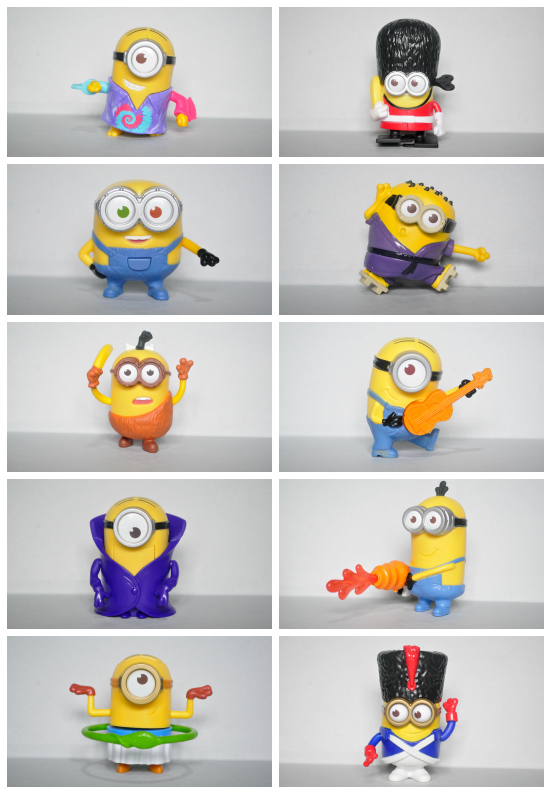 10 Minions collectibles will be available with every Happy Meal starting today, June 26. But I might have to collect them all cause they're so irresistible! Aside from the Minions Happy Meal toys, also included in the Minions Banana Festival are the Minions Combos featuring an array of Minions-themed desserts. And I don't think there could be any better McDo combo than their McDonald’s World Famous Fries with the all-new Minions-themed desserts. This would definitely make a perfect snack combination for you and your friends. There are four McDo Fries and Dessert Combo that are available during the Minions Banana Festival. These are the Minions Medium Fries and McFloat Combo (Php65), Minions Medium Fries and McFlurry Combo (Php95), Minions BFF Fries and McFloat Combo (Php165), Minions BFF Fries and McFlurry Combo (Php225). Ther BFF Fries Combo are definitely perfect for sharing (unless you're extra hungry ;))! Of course, these desserts are available separately. Try the new Honey Banana McFloat, a sweet and refreshing banana and honey flavored drink topped with vanilla soft serve for only Php27. In the mood for a McFlurry? You have a choice between two new and exciting McFlurry flavors. Discover the Banana McFlurry with Oreo (Php50) where a classic gets a banana-licious twist, as banana flavor is mixed with Oreo bits in vanilla soft serve. You can also have the Banana Crumble McFlurry (Php50), made with crushed graham and banana flavor blended in creamy vanilla soft serve. Between the two, my fave is definitely the Banana Crumble McFlurry! Everything just goes well in that cup of McFlurry! 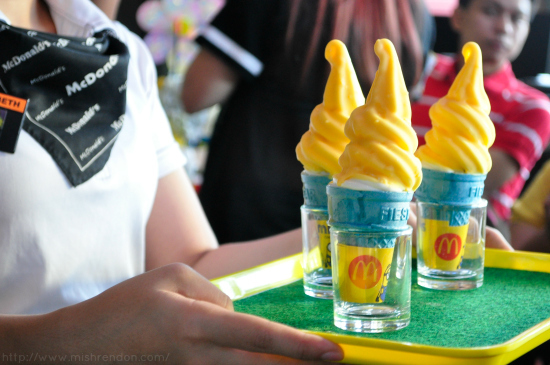 McDonald’s is also introducing the Minions Banana McDip, a delicious vanilla soft serve covered in banana-flavored dip on a blue wafer cone—one of the cutest dessert items you’ll ever see and taste for only Php15. Head over to McDonald’s to see the Minions Movie come to life! 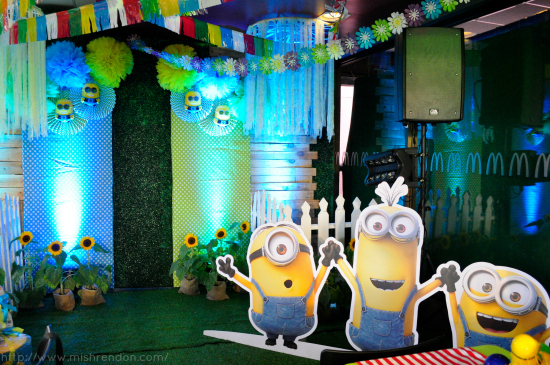 Bring the entire family or barkada and find a Minions treat for everyone. Be sure to try these Minions Happy Meal and menu offers at any McDonald’s stores nationwide ASAP as they are available for a limited time only!